ZEPPET STORE is a rock band formed in 1989 with members, Seiji Kimura (Vo, G), Makoto Gomi (G) and YANA (Dr). They released their 1st album “Swing, Slide, Sandpit” in 1994. This album caught the eyes of hide (X JAPAN) and ZEPPET STORE released their 2nd album “716” in 1996 through LEMONed, the label established by hide himself. 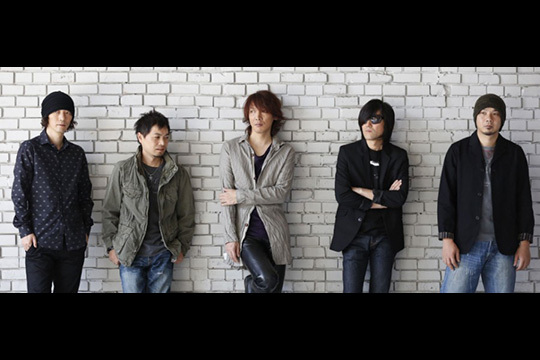 Around the same time, Yuichi Nakamura (B) joined the band and by 1996, they made their major debut with the album “CUE.” Gomi left the band in 1997 and Kenji Akabane (G) joined the band the following spring. They continued on with band activities for a while, but decided to disband in 2005. After 6 years when the Great East Japan Earthquake broke out in 2011, they reunited for a charity project through which they released a digital single. Gomi also came back to join the band for this reunion, thus they became a 5-piece band. In 8/2011, they released a new song ‘SMILE’ as a digital single and an at-venue-only CD. In 5/2012, they performed for the first time after the reunion at hide’s memorial event “hide FILM ALIVE!! ～hide Memorial Day 2012～.” In 12/2012, they released a new album “SHAPE 5” for the first time in 8 long years.